He’s seen as the only Russian opposition leader who stands a fighting chance of challenging President Vladimir Putin. Supporters of Alexei Navalny have been gathering in 20 Russian cities to back his bid to run the March 2018 election. "We are ready to win these elections. And we will win! 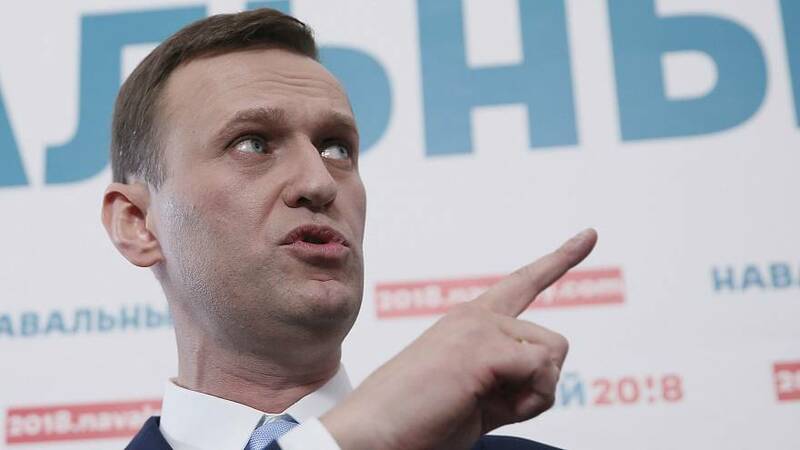 If they try to stop us from running - we will call for a boycott of the election" Navalny told supporters at an event which at times felt like a US campaign conference. A boycott which would be an embarrassment to the Kremlin, which is worried about voter apathy and focused on boosting turnout to make a victory for President Vladimir Putin more impressive. According to Russian law, in each city Navalny will need at least 500 people to formally nominate his candidacy. In Moscow alone, more than 700 people supported him. The 41-year-old lawyer is barred from the race by an embezzlement conviction which he calls politically motivated. Nevertheless, the 41-year-old anti-corruption crusader has run a yearlong grass-roots campaign and staged waves of rallies to push the Kremlin to let him run. Mr Putin however still has a massive approval rating and is almost certain to ease his way to a fourth presidential term, which would extend his rule until 2024 and make him the longest-serving Russian leader since dictator Joseph Stalin. He was unexpectedly appointed on Saturday after its veteran leader Gennady Zyuganov was dropped as the party's presidential candidate in a bid to widen its political appeal. Then there are other veterans of past elections in the running -including liberal Grigory Yavlinsky and ultranationalist Vladimir Zhirinovsky. And for the liberal Civic Initiative party Russian socialite and TV presenter, Ksenia Sobchak. The daughter of Anatoly Sobchak, the reformist mayor of St. Petersburg in the early 1990s, Sobchak positions herself as an “against all” candidate and invites all those dissatisfied with other candidates vote for her.